If you are someone who owns a local Cape Cod restaurant, you are probably diligent about keeping the place clean, or so you think. Even over a short period of time, you can end up collecting grime in places that you cannot see. Of course, if you cannot see them it means you also cannot easily access them. As such, one of the most neglected tasks is commercial hood cleaning in Cape Cod. 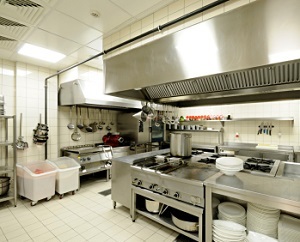 Yet even if you have a low-volume commercial kitchen, one of the main responsibilities that you have is getting a professional to address your need for hood cleaning. This is certainly one of those tasks that tends to get put off. However, what you need to know is that this can have very serious repercussions. So what are the essential reasons that you need an expert to come in and take care of commercial hood cleaning service for you? Of course one of the driving forces behind making sure that you address your need for regular hood cleaning in Cape Cod is to be in compliance with industry guidelines. This is something mandated by both local and national organizations. The most important reason your hood has to be kept clean is to reduce the risk of fire, which is also why it is part of the required industry regulations. One of the things a hood is there for is to trap grease. However, over time, too much grease increases the possible risk of fire. Grease fires are easy to start and difficult to extinguish so keep that hood clean. If you keep your hood clean you could also help prevent your insurance costs from going up. Commercial kitchens found in non-compliance with industry regulations end up having their insurance rates go up. If you neglect to get your hood cleaned, you can be cited for this and it will cause you to be a high risk client. Of course there is more to it than that, such as making it a point to keep the hood working so your kitchen doesn't smell of smoke and lingering food odors. However, any one of these alone should be enough motivation to get your hood cleaning scheduled today. When you need hood cleaning in Cape Cod, you can count on A to Z Softwash to get the job done. We look forward to working with you and helping ensure that your commercial kitchen is in compliance. There is no reason to take a gamble with keeping your kitchen clean. Nor should you ever settle for less than the best when it comes to the service and results that you get. You can also rely on our Cape Cod roof cleaning and pressure washing company for a variety of exterior cleaning services to keep your business looking sharp. If you are looking for an expert for commercial hood cleaning in Cape Cod, MA, then please call 508-209-7795 or complete our online request form.